Pregnancy is a very special time in one’s life. At times, yes it can be challenging but in the end we’re rewarded with the most precious gift at all, a beautiful baby. Capturing the special moments leading up to giving birth is just as important as the next chapter of your life, and there’s no better way to capture this special time than through a photo. 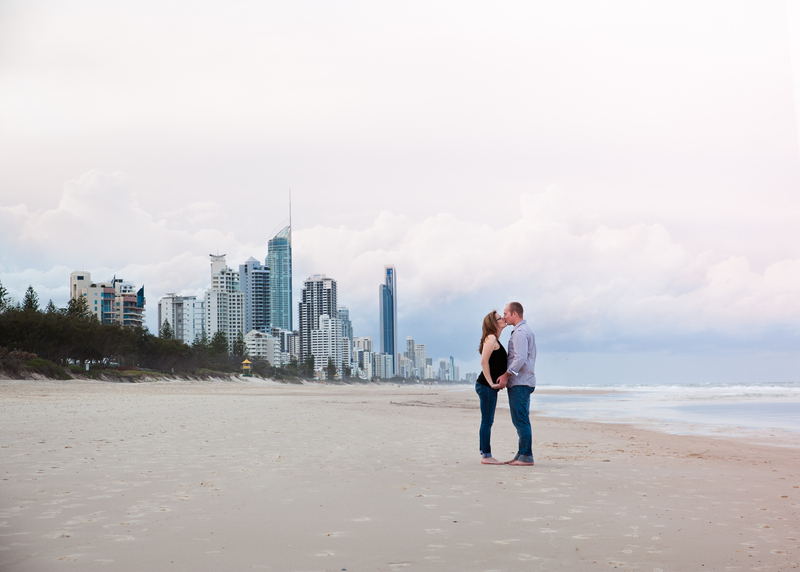 For professional Gold Coast Maternity Photography, I welcome you to entrust me with the gift of documenting this moment in a creative way that will make you think back to this very important time in your life each time you look at your maternity photos. 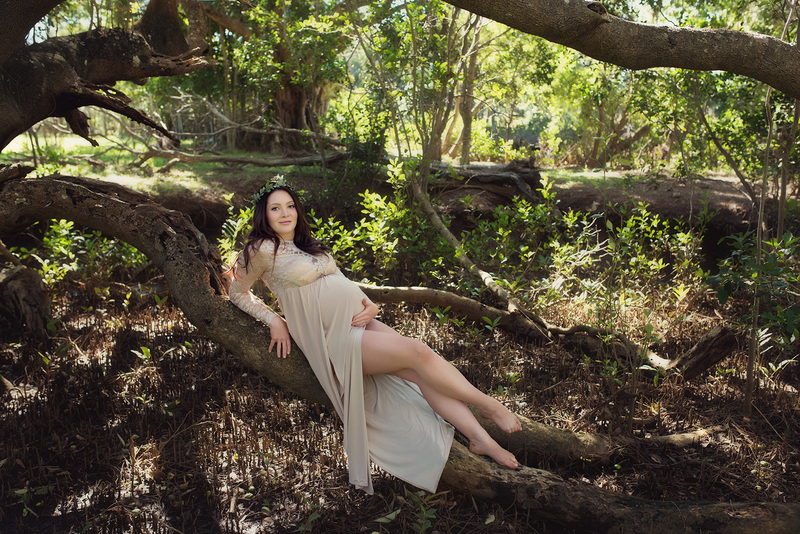 What can you expect when you book a Maternity Photography session? 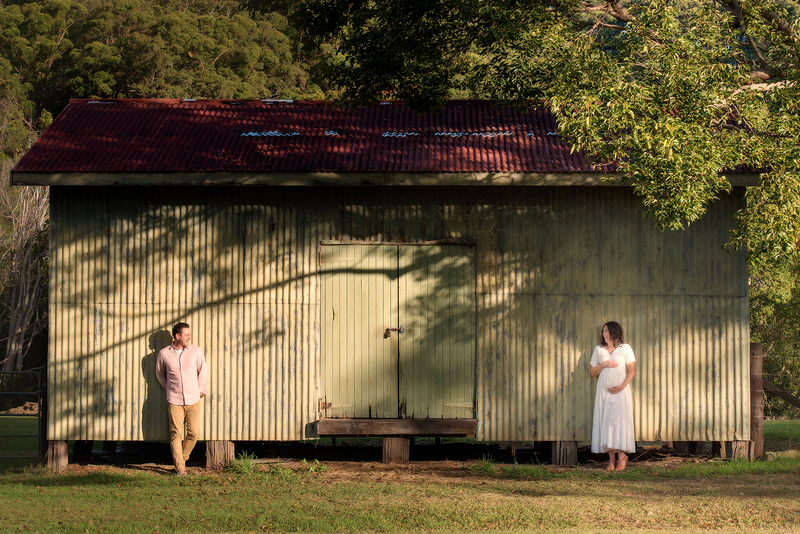 Maternity photography sessions with Little Orange Photography last 1.5 hours. As every pregnancy is unique, the exact timing of your session will vary slightly I will always gauge with you how you feel and when you need to rest as we all know growing another human being is hard work! 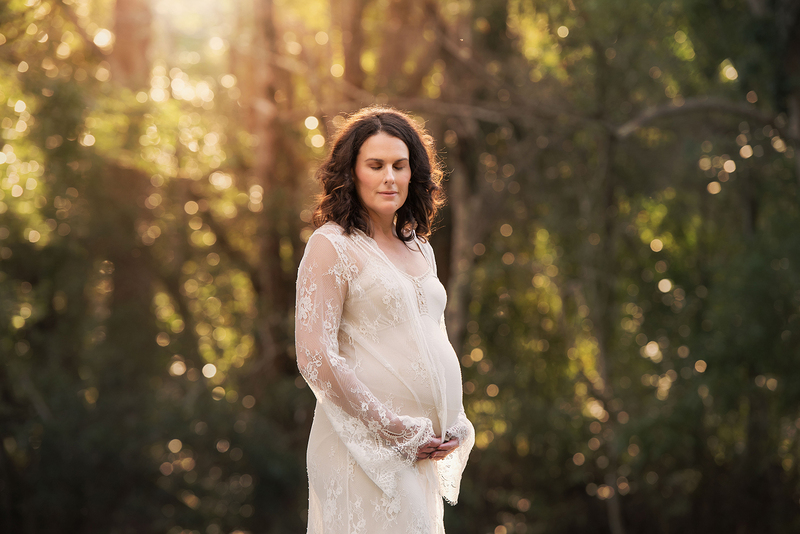 In the week leading up to your photo session, we will discuss your preference as to whether you’d like your pregnancy photo shoot to take place indoors or outdoors . 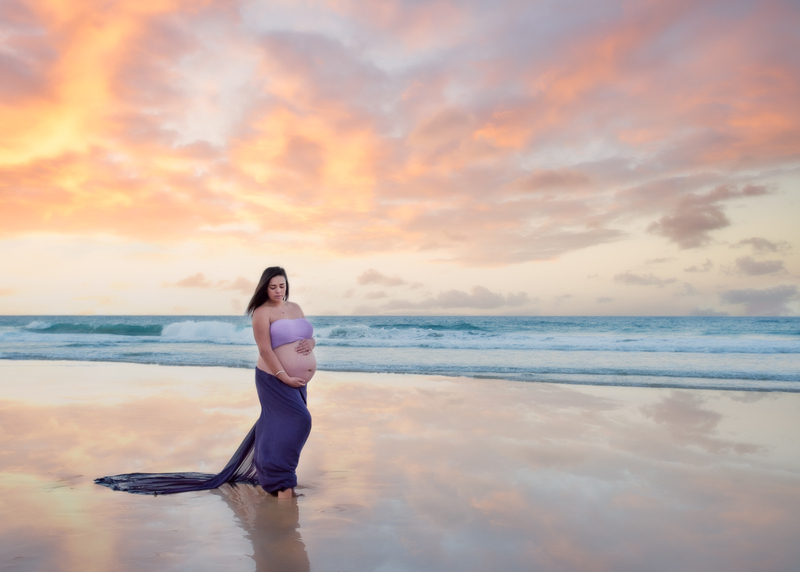 The best time to schedule your maternity photography session is between 28 and 34 weeks. I want you to be showing with a large, beautiful belly but the most important thing is that you are comfortable throughout your experience. I want all mum’s I work with to feel comfortable, confident and beautiful! I would like to make a suggestion – pamper yourself before your photo session! Go to your local Salon have your hair styled or take a relaxing bubble bath with candles, put aside a few hours to relax and feel fabulous. The best maternity photographs are created when you are able to be yourself and feel your best. The clothes you wear during your photo session will play a vital role in how you feel. So I say show off your beautiful form, choose a few outfits that accentuate your beautiful growing belly… I find Maternity Photography where the mum-to-be is wearing form fitting tops or long flowing dresses turn out the best. Unbuttoned jeans work just as well (bring a few outfits to try!) Solid colours work best; as far as specific colours, it is completely up to you. I love pastels and off whites in images but this also depends on your skin tone if you’re naturally white then I wouldn’t expect you to dress in white! Go with what you feel and know suits you best and I’ll take it from there. Being one of the most important times in your life, but also in your life as a family please feel free to bring your significant other and any children you may have. 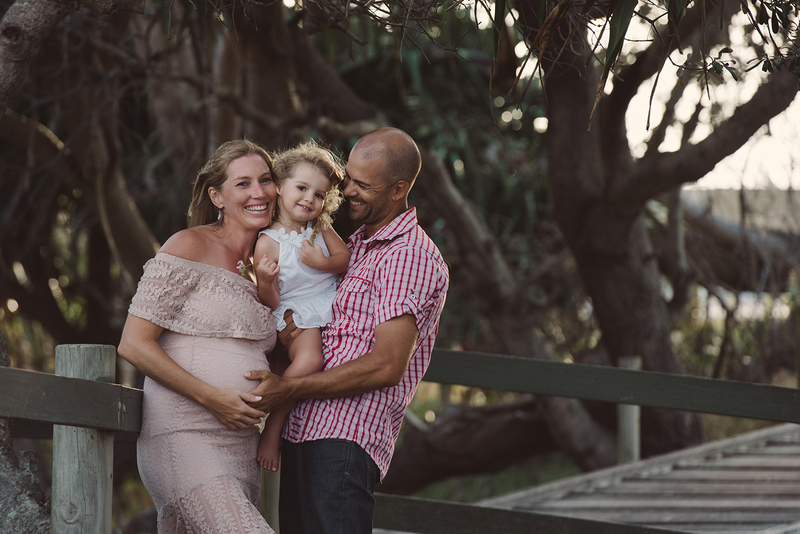 Photographing interactions between your loving families adds another dimension of emotion producing more charismatic photos and simply makes your pregnancy photography session more enjoyable. Your professional pregnancy photos will cast strong memories of the time you and your family prepared for another living breathing soul. Each time you open your album or walk past your pregnancy photos on the wall it will rekindle those emotions. 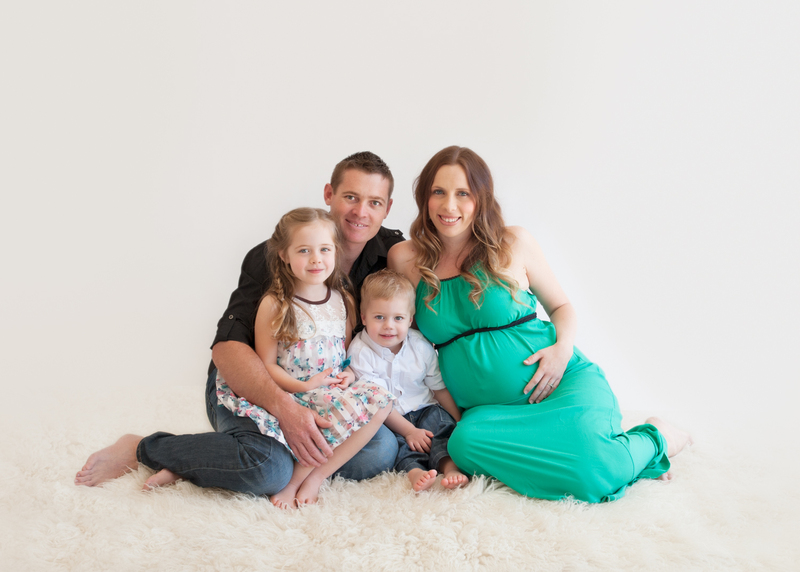 This will be an enjoyable experience where we can capture the wonder and excitement of your new baby. Please read the Terms and Session Information should you require more information. 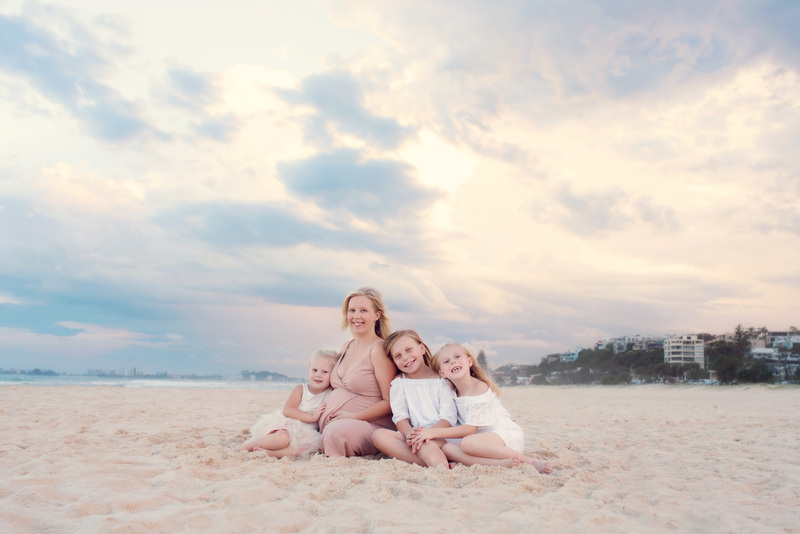 If you have any questions regarding my Gold Coast Maternity Photography service, please call or email photo@littleorangephotography.com.au – I’d love to hear from you! © Copyright 2019 Little Orange Photography. Website by Ignition Media.